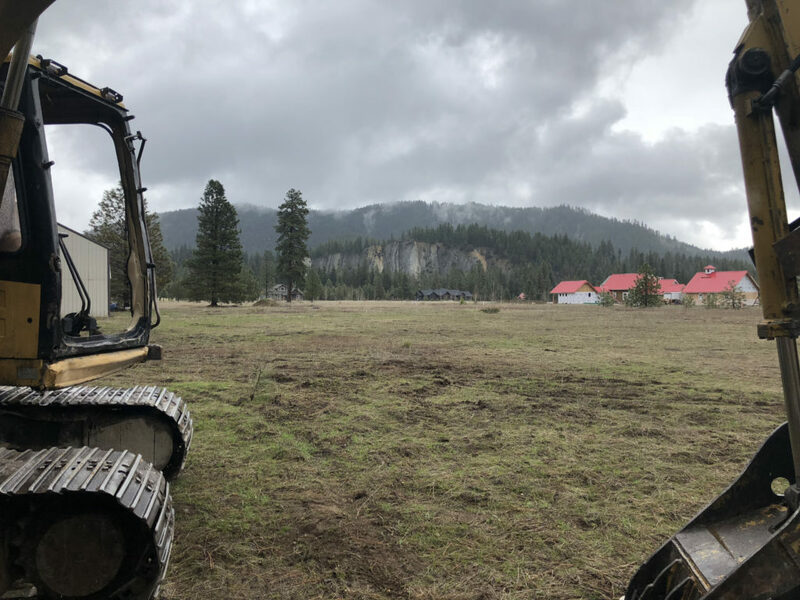 In the midst of a crazy week last week we got some unexpected news from our builder that he was breaking ground on our lot out in the mountains! We knew it was bound to happen sometime in the next month or two and were anxiously awaiting the news – it still caught us off guard and seemed to happen really fast! 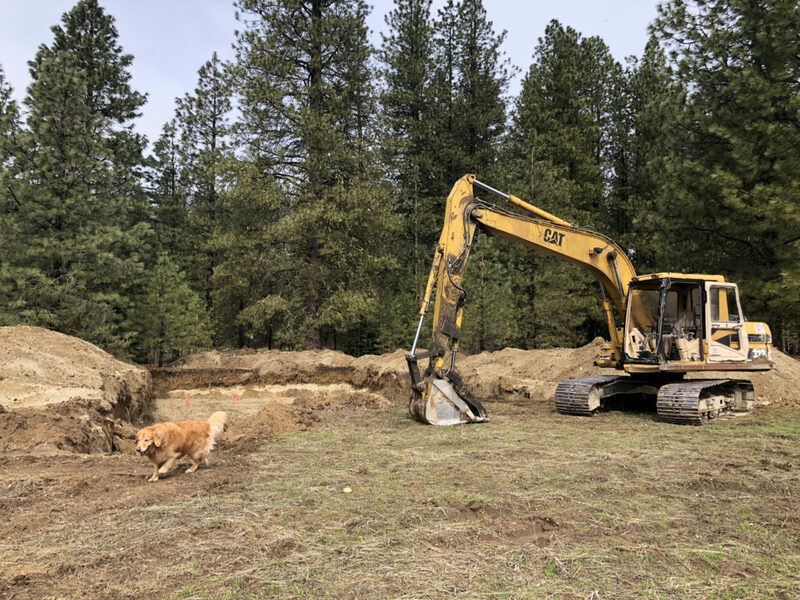 In any case – Alex and I drove out to our property just outside the town of Leavenworth, about two hours east of Seattle, over the weekend to check out the “hole” in the ground and make sure the excavator put it in the right spot. It is darn perfect. 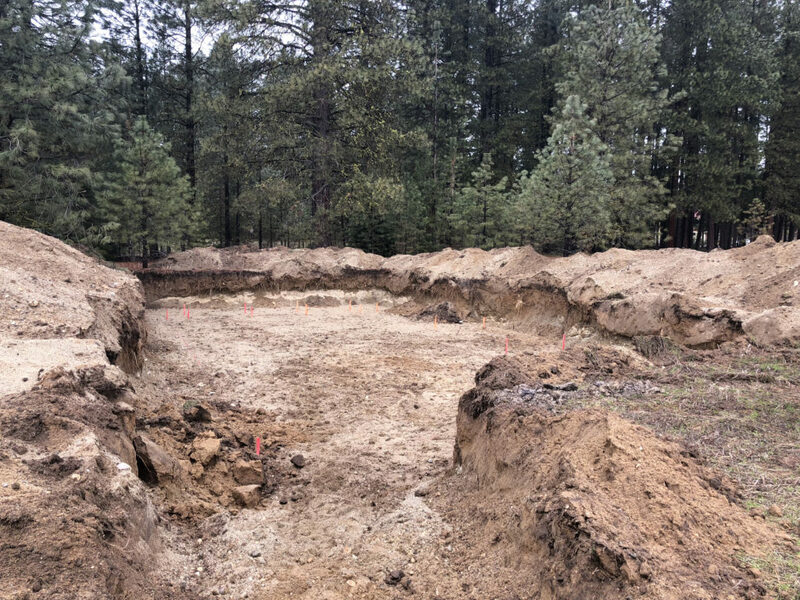 The house will be nestled in the evergreens, facing out on a bluff atop a river overlooking the valley. I’m not sure how it all came together so smoothly but seeing that hole made it feel all the more real to me. If everything comes together as expected we should be in the house before Christmas, which was what we were really hoping for. 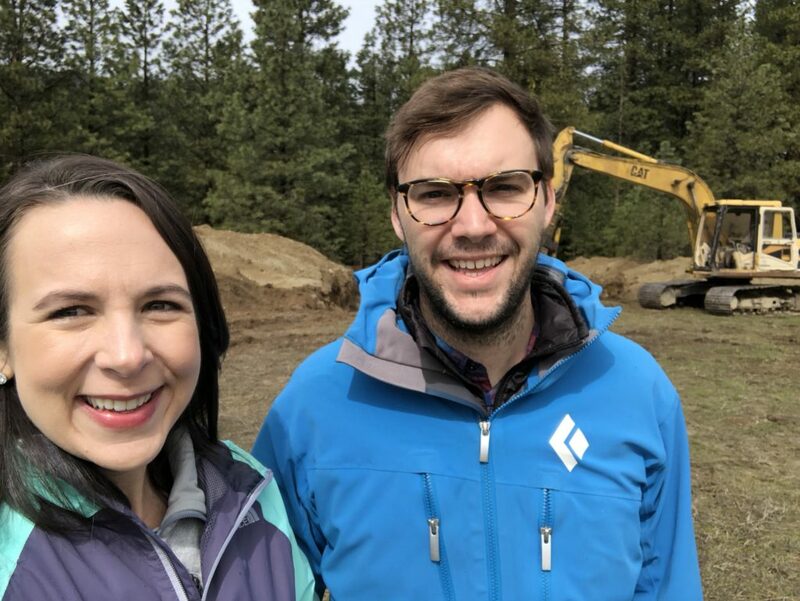 This mountain home will be life changing for us and our little, growing family as well as our extended family and we are so grateful that things are coming together as well as they are. We can’t wait for Ben and his little sister to be able to grow up spending so much time in the mountains. 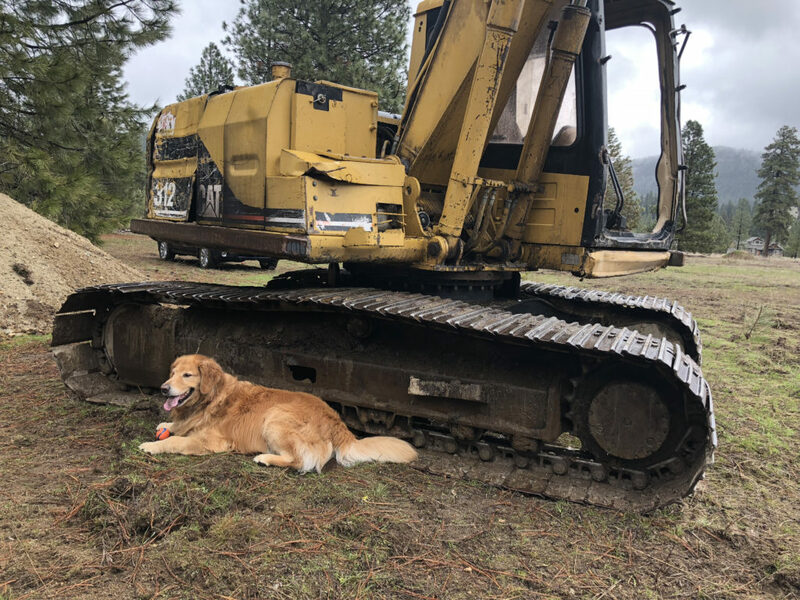 This entry was posted in Family and tagged building the lodge, construction, family, Leavenworth, mountains on April 9, 2018 by Alison Allen.